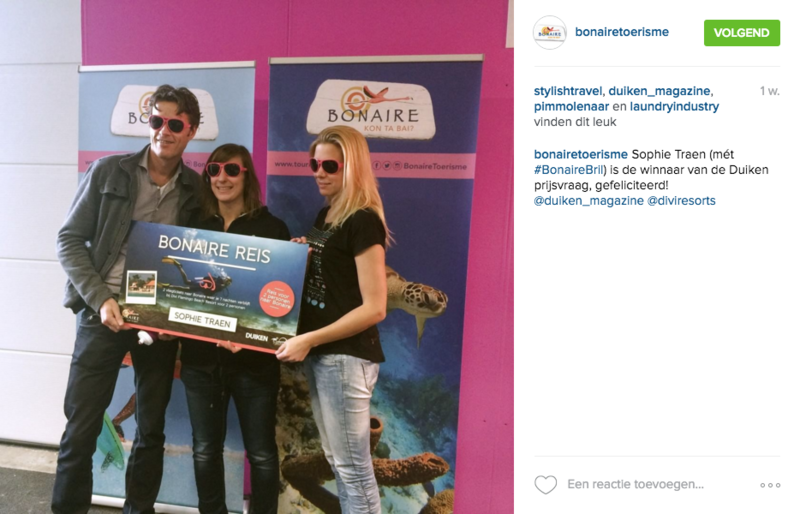 Bonaire is in the spotlight this spring. In the coming months, four leading dive magazines from the Netherlands, Belgium and France will be visiting Bonaire. Duiken magazine, market leader in the Netherlands and Belgium, will be producing new articles in April, as well as short video clips, so-called “vlogs”. These will also be used in TCB’s social media in the Dutch market. 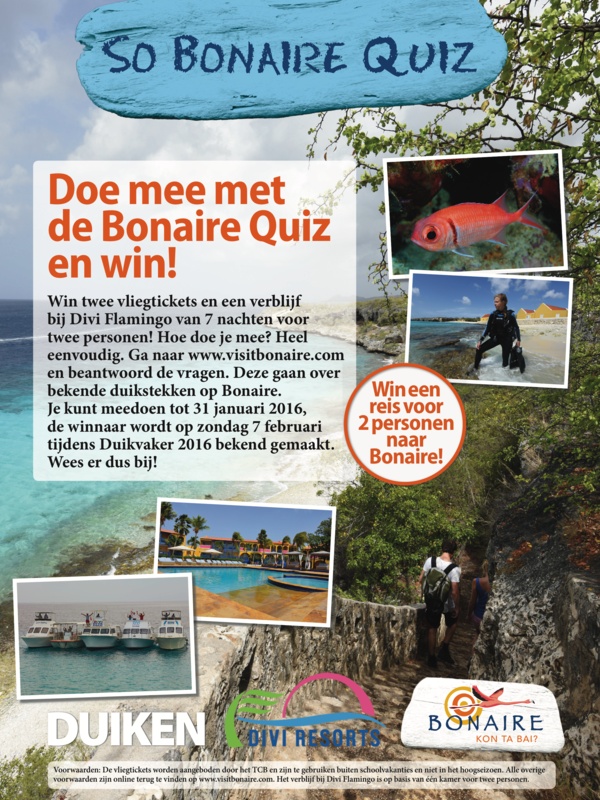 Onderwatersport, the membership magazine of the Netherlands Underwater Sport Federation (Nederlandse Onderwatersport Bond), will visit Bonaire in April and publish its editorial articles in the course of 2016. Hippocampus, the membership magazine of the Belgian Diving Federation (Belgische Duikfederatie) will be visiting Bonaire in the spring and is planning to publish a variety of articles. 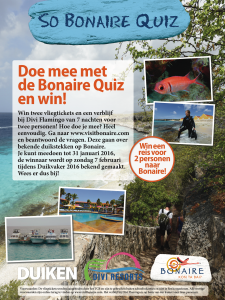 What’s more, the magazine will also use its social media to write about Bonaire.